Tungsten carbide - guaranteed binder-free. 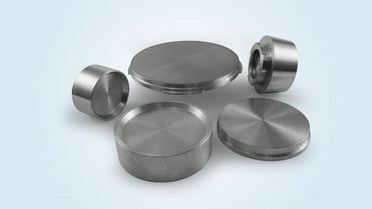 Tungsten carbide (WC) is used for the production of DLC coatings (Diamond Like Carbon). These are particularly hard and long-lasting and protect engine parts and other automotive industry components that are exposed to high stresses against wear. By reducing the coefficient of friction, DLC coatings extend the service lives of gearwheels, press dies and many other components. 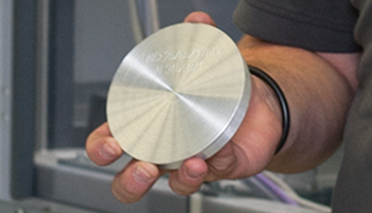 To manufacture our sputtering targets, we use only binder-free tungsten carbide. 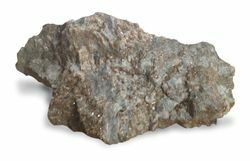 The material contains no substances such as nickel or cobalt. During the coating process, the target material becomes finely dispersed and its inhalation may be harmful to health. However, with our binder-free tungsten carbide targets, you know you are safe. In combination with carbon, our tungsten carbide forms a WC/a-C:H layer. 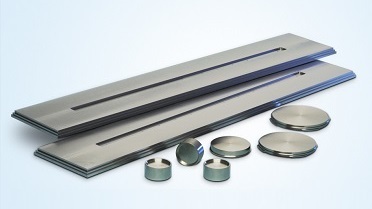 This is applied using the reactive magnetron sputtering process. A chromium coating is usually applied below this in order to improve the adherence of the DLC layer. 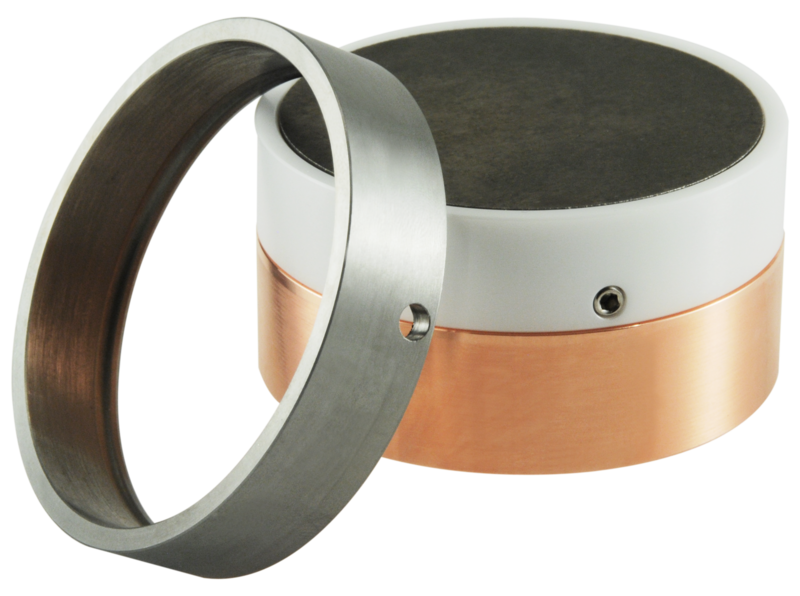 For tungsten carbide coatings, we supply round, rectangular and bonded targets on molybdenum or copper backplates. Our bonded targets are more stable and less liable to breakage and therefore easier to handle. We generally use indium as our solder material. However, we are also able to call on other materials depending on the specific application. As a ceramic material, tungsten carbide has to be compacted at high temperatures of between 1 900 and 2 200 °C. That is why we use hot pressing techniques to produce our targets and achieve at least 99 % of the theoretical density. As a result, no particles of powder are released from the target during sputtering and the coating adheres perfectly. Because our raw material consists of tungsten carbide powder with a minimum grain size, the microstructure of our targets is very fine and homogeneous. The advantage: The target material is eroded uniformly during the coating process and ensures that you benefit from smoother coatings. Thanks to a further optimization of the microstructure, we are also able to produce arc cathodes made of tungsten carbide. Optimized resistance to thermal shocks. Long service life. During the coating process, the target is exposed to high temperatures. Once sputtering has been completed, the material cools down again quickly. This may cause fissures or fractures in the target. Thanks to our special production process, our targets offer outstanding resistance to thermal shocks and can withstand countless heating/cooling cycles without difficulty. Are you looking for the perfect coating? 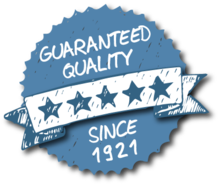 Take advantage of our long-standing experience and our extensive database of chemical compositions and production processes. Our team develops our sputtering targets and arc cathodes continually and improves their material and coating properties. Particular when applying ceramic coatings, the optimal setting of the arc-coatingsystem can be difficult. That's why we test different process parameters on industry-related systems to support our customers at the best. Take a look at our targets and cathodes made from titanium-aluminum, aluminum-chromium, chromium, titanium, zirconium, titanium-silicon and titanium diboride.